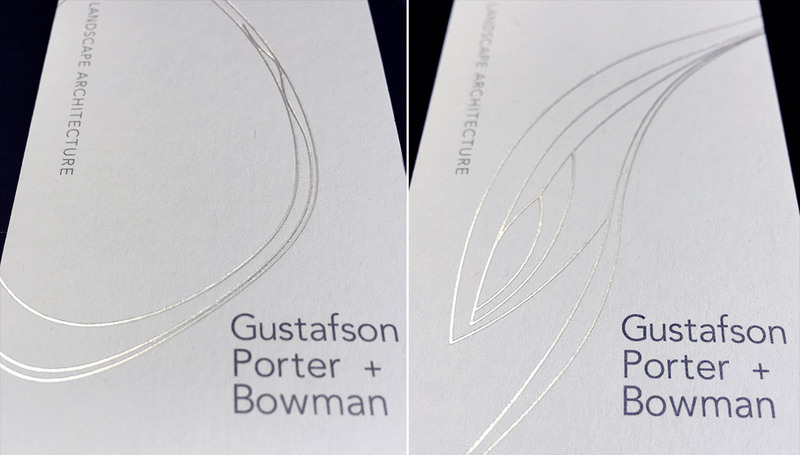 Gustafson Porter + Bowman was established in 1997 as Gustafson Porter, when the acclaimed landscape architect Kathryn Gustafson opened a London office with architect Neil Porter. Mary Bowman joined the practice in 2002. We were approached to rebrand the practice introduces partner Mary Bowman to the name. 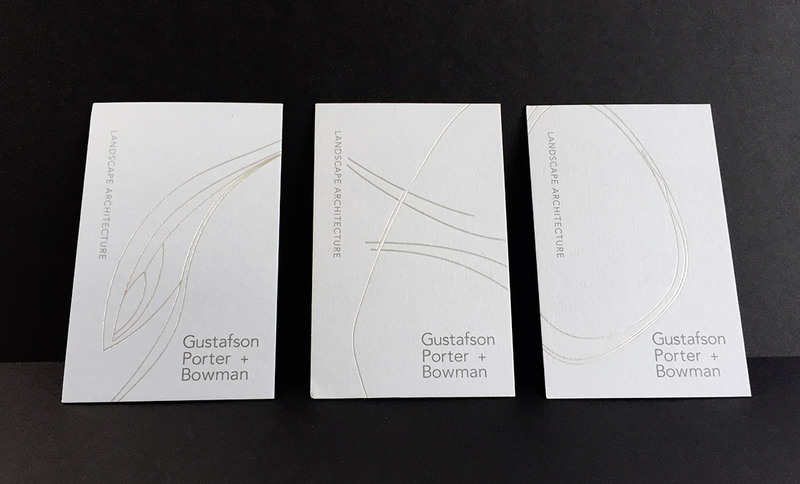 Our branding gives equal weight to all three partners and forms part of a larger graphic language exploring the sensual and sculptural lines that feature within their work.